Trump followed up the tweet with more criticism at a Cabinet meeting Wednesday afternoon that was open to the press. “I wish Mitt could be more of a team player. I endorsed him and he thanked me profusely,” he said, according to a White House pool report. Trump’s tweet managed to slip in one more dig at Sen. Jeff Flake (R-Ariz.), a harsh critic of the president who is leaving Congress this week. Flake opted not to run for reelection after concluding he couldn’t win a primary election amid a Republican base that has swung heavily in Trump’s direction. Many Trump opponents have hoped that Romney (R-Utah) might take up the mantle of Flake and other departing Republican critics in the Senate. And a Washington Post op-ed published New Year’s Day — before he even takes office — suggested that he will. The op-ed castigated Trump for “glaring” shortfalls in leadership and warned that Romney won’t hesitate to speak out against the president. But the senator-elect also wrote that he has supported many of Trump’s policy decisions. The two Republicans have long had an uneasy relationship. 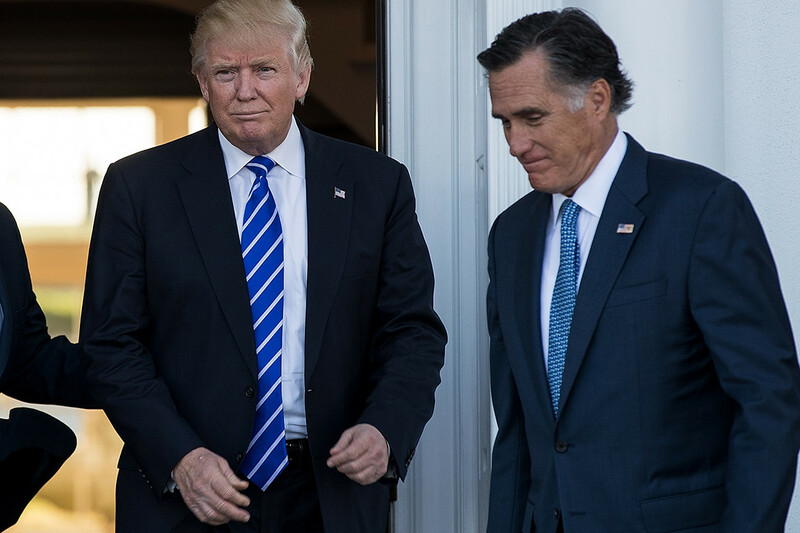 Romney opposed Trump in the 2016 GOP presidential primary, though he welcomed Trump’s support during his Senate run last year. Trump has repeatedly blasted Romney as a failed candidate for his 2012 loss Obama. Romney is set to appear on CNN’s “The Lead with Jake Tapper” at 4 p.m. Wednesday for his first post-op-ed interview.